The two actors have just spent seven weeks together in the South Australian Outback, filming director David Michod's hotly-anticipated follow-up to Animal Kingdom, with Pearce waxing lyrical about his co-stars "beautiful face". "The best thing about Rob is that he is a really great actor," says Pearce. "Watching the rushes back, you go: 'OK, he is just going to be fantastic'." 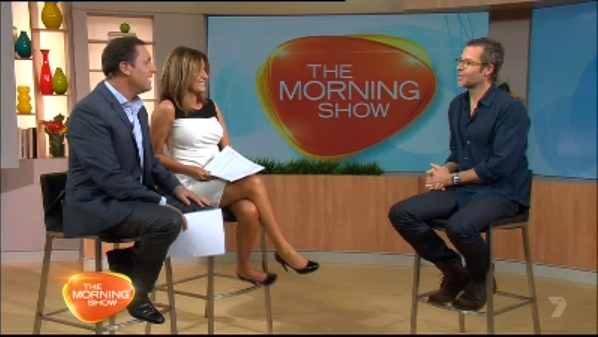 Guy Pearce says his co-star in The Rover Robert Pattinson is a 'great actor'. The Twilight star plays white trailer trash from the southern states of America in the futuristic western, set in an apocalyptic near future where society has broken down in the wake of a severe financial crisis. "He plays (the character) slightly backward, emotionally useless and really vulnerable," says Pearce. "He's got this beautiful face so you are completely entranced by that face no matter how ugly he makes himself or how wounded he is, or how manky his haircut."